There will be much to see and do – and eat – before the annual Missouri State University-West Plains Grizzly Basketball homecoming game Saturday, Feb. 9, at the West Plains Civic Center, 110 St. Louis St. In the week leading up to the big day, not only will students vote for homecoming king and queen, members of student organizations will participate in a banner contest. Banners will be judged, and the winning student organization will be announced at halftime of the homecoming game. Representatives from the organizations also will show off their banners during the Parade of Banners prior to the crowning of the homecoming king and queen at halftime. Grizzly fans young and old are invited to come to the civic center’s Magnolia Room beginning at 4:30 p.m. and enjoy a hearty bowl of chili at the Friends of the Garnett Library’s annual chili supper. Sponsored by Wendy’s, the event raises funds for the Garnett Library on the Missouri State-West Plains campus. Tickets are $7.50 per person for adults, $5 for students and children ages five and above, and free for children age four and under. The meal includes all-you-can-eat chili with all of the fixings, as well as dessert and something to drink. Tickets may be purchased at the door that evening. Complimentary game tickets also will be given to those attending the chili supper who do not already have passes for the game, organizers said. 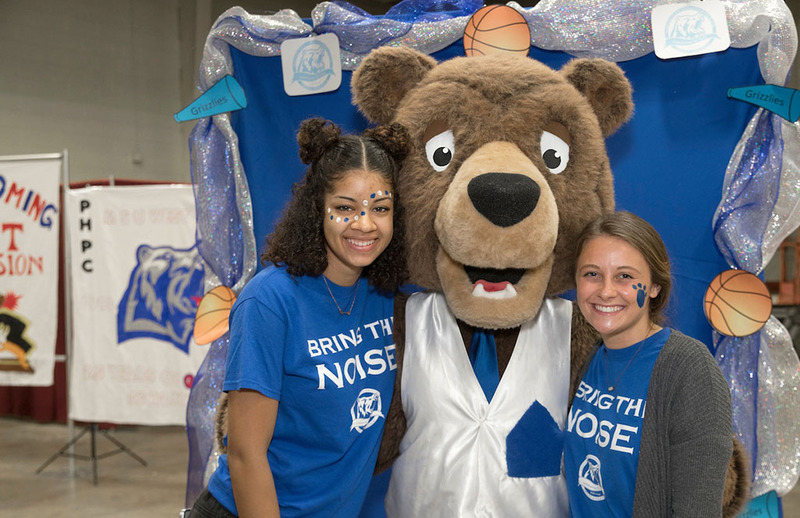 Beginning at 5 p.m. in the civic center exhibit hall, Grizzly fans can enjoy a host of games and other activities at the Back n’ Blue Alumni Bash. Organizers said there will be giveaways, a bouncy house, face painting and games. Representatives from Spring Dipper also will be on hand to serve ice cream. At 6 p.m., area residents can meet and greet candidates for this year’s homecoming king and queen during a special reception in the exhibit hall. Family, friends, students and area residents are all welcome to come and mingle with the candidates before the game, organizers said. 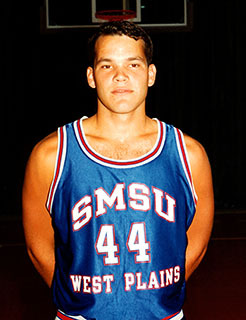 The highlight of pre-game activities, however, will be the induction of Grizzly Basketball standout David Augustine (1993-95) into the Grizzly Athletics Hall of Fame. The ceremony will take place 6:45 p.m. in the civic center arena. A member of the Grizzly Basketball team’s very first recruiting class, Augustine became a stabilizing force for the young program during its first two seasons with his ability to play multiple positions. He’s also known as one of the best players in Grizzly Basketball history to draw charge calls off opponents. A reception for Augustine and the homecoming court will be held in the Dogwood Room immediately following halftime. Light refreshments will be served. Following Augustine’s induction, the Grizzlies will take the court against Region 16 arch rival Three Rivers College from Poplar Bluff. Tipoff is 7 p.m.
For more information about the chili supper, contact the Friends of the Garnett Library at 417-255-7940 or email FriendsofGarnettLibrary@MissouriState.edu.